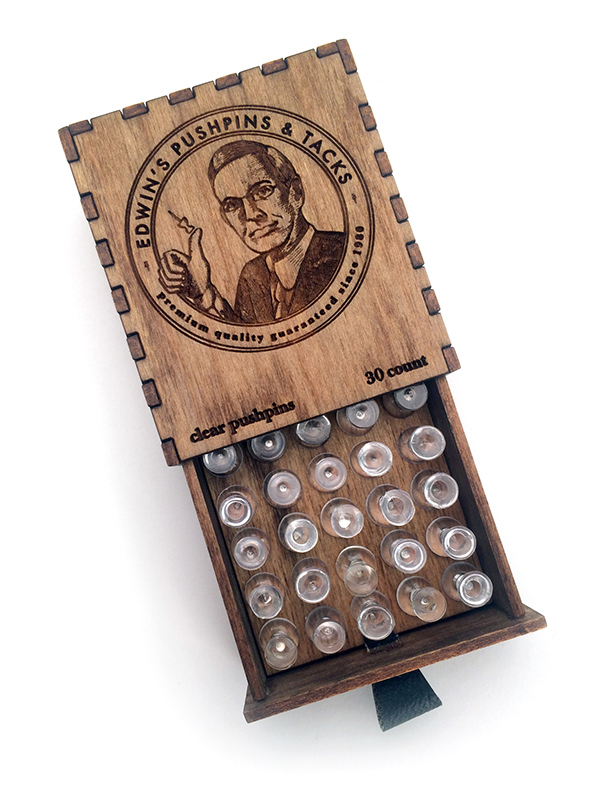 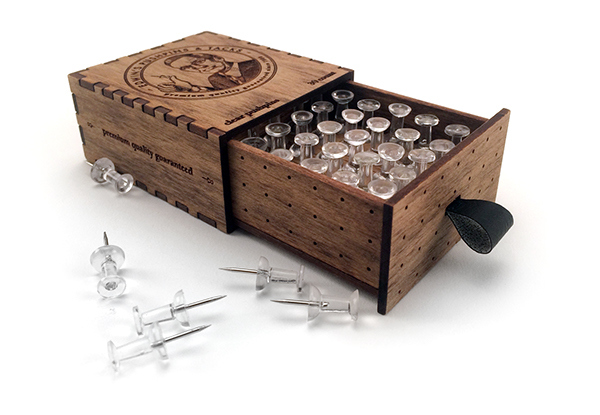 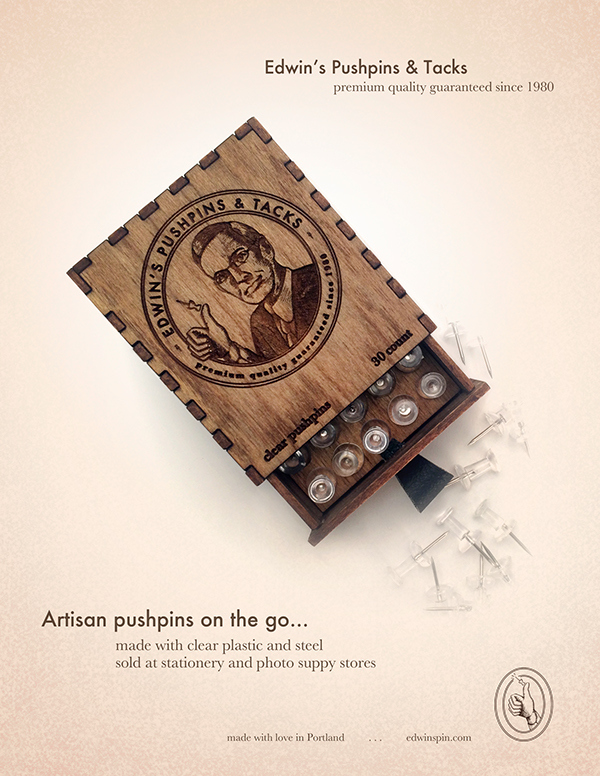 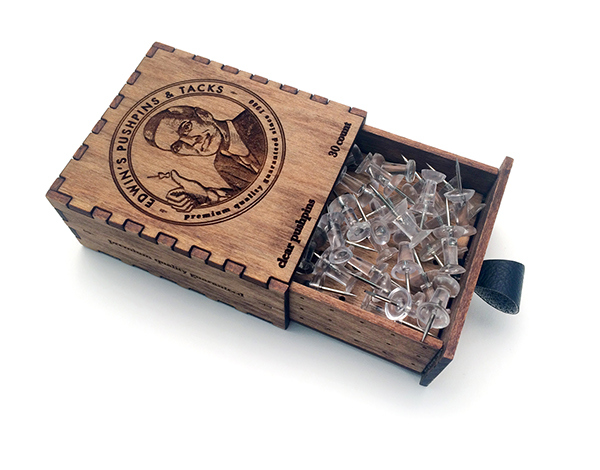 Story: On-the-go quality artisan clear pushpins inspired by the inventor of pushpins, Edwin Moore. 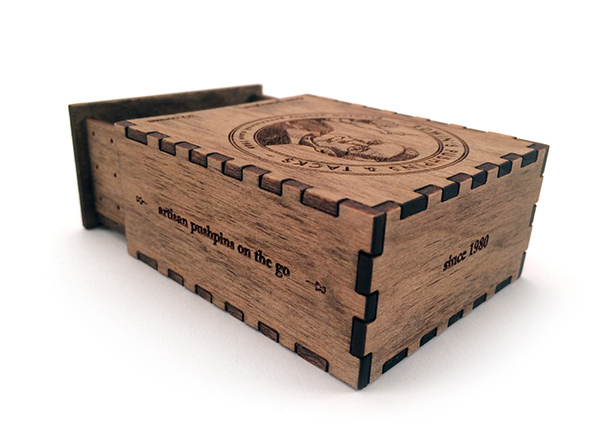 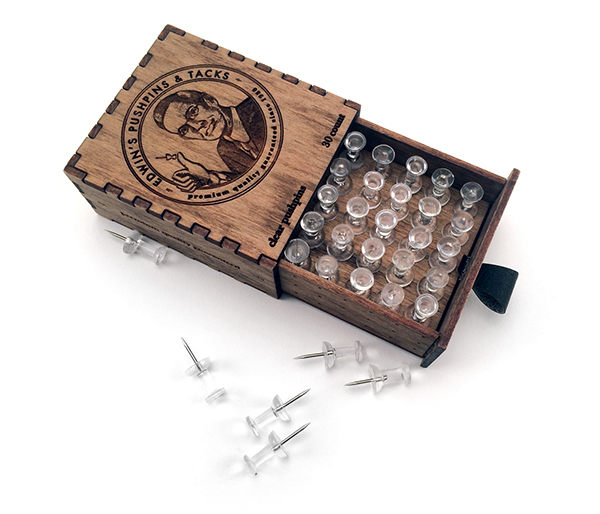 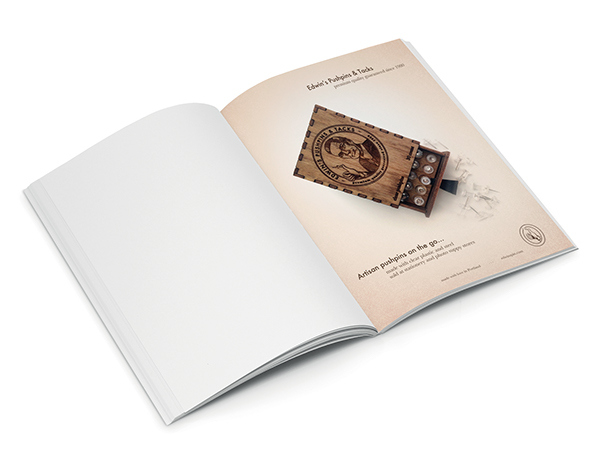 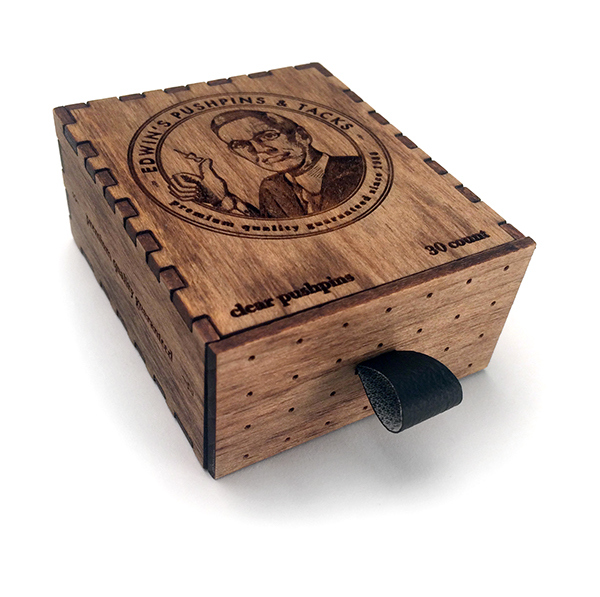 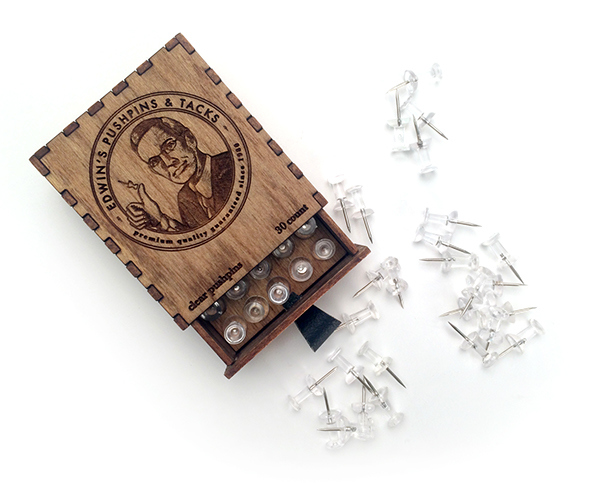 Edwin’s Pushpins and Tacks utilizes etched imagery in a simple, more graphic way. 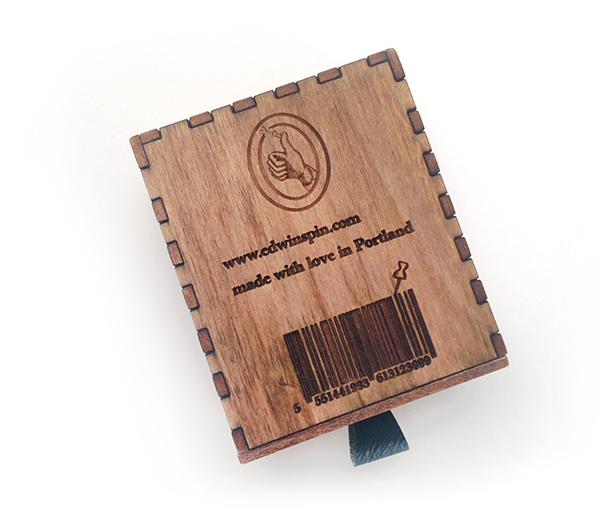 The intended audience is a middle-aged male who lives in Portland with his lifelong girlfriend, 2 dogs and a blind cat. 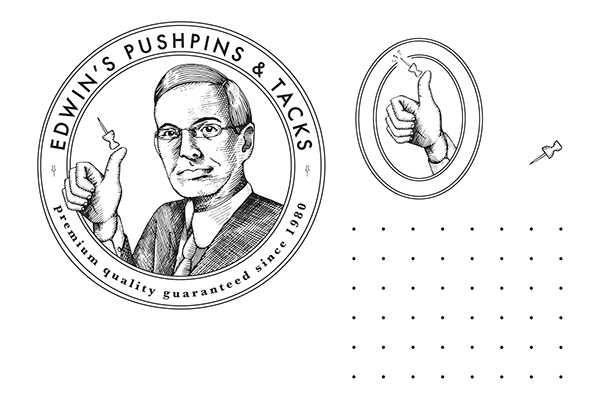 He appreciates tactile objects and often makes craft beer. 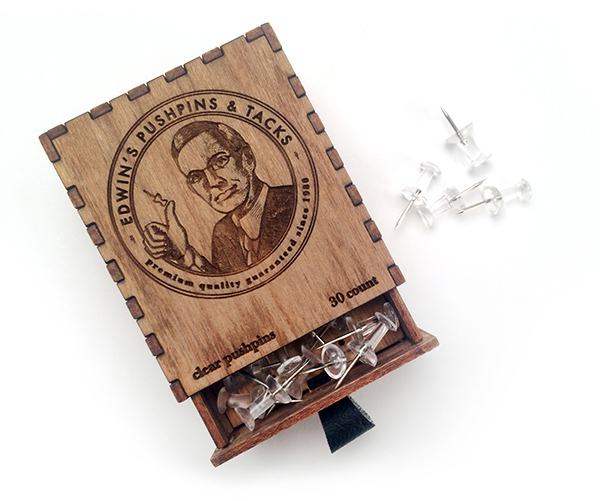 Inspired by the inventor of pushpins, Edwin Moore.